asap's Brightening Serum Pack combines a trio of must-have skincare products to leave the complexion with a firmer, smoother and brighter appearance. A fast-acting serum infused with a host of powerful active ingredients to intensely hydrate skin whilst visibly reducing signs of ageing; its high concentration of Niacinamide helps kick-start collagen production. The rejuvenating formula penetrates quickly to enhance hydration, and contains crosslinked Hyaluronic Acid, which provides five times the moisturising properties of traditional Hyaluronic Acid. Its blend of Red Clover and Liquorice extract perform pore refining and brightening effects for smoother-looking, radiant skin. A skin-brightening formula infused with the three most powerful antioxidants, Vitamin C (20% L-Ascorbis Acid), Pycnogenol and Idebenone. Dedicated to brightening and clarifying the appearance of skin, the potent formula helps to visibly reduce the appearance of premature ageing caused by drying effects of the sun and other damaging environmental factors. Daily use of Vitamin C promotes skin radiance. An anti-ageing formula that utilises Telomere Technology to help protect and repair skin, promoting a smoother, younger-looking complexion. Enriched with a Multi-Peptide Complex to enhance vitality, and a combination of self-regenerative stem cell technology and Glucuronic Acid to help smoothen fines lines and wrinkles. Optimal hydration is restored and skin appears firmer and younger. Super B: Apply to face and neck in the morning prior to asap super C serum. 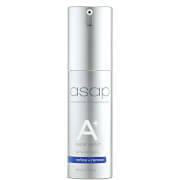 Apply in the evening prior to asap super A+ serum. Alternatively, pre-mix serums prior to application. Super C: Apply in the morning following asap super B complex. 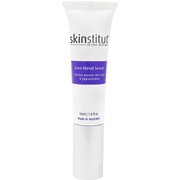 Alternatively mix B and C serums together on the back of the hand and apply to face, neck and hands. Renewal Treatment: Use nightly for skin with visible signs of ageing, alternatively 2-3 times a week to maintain a youthful appearance. Apply after serum and prior to moisturiser. Super B: Aqua (Water), Niacinamide, Betaine, Glycerin, Glycereth-26, Sodium Hyaluronate Crosspolymer, Isopentyldiol, Polysorbate-20, Trifolium Pratense (Clover) Flower Extract, Polygonum Cuspidatum Root Extract (Resveratrol), Chondrus Crispus (Carrageenan) Powder, Aloe Barbadensis (Aloe Vera) Leaf Juice Powder, Tocopheryl Acetate (Vitamin E), Bacillus/Soybean/Folic Acid (Vitamin B9) Ferment Extract, Citrus Aurantifolia (Lime) Oil, Citrus Aurantium Bergamia (Bergamot) Fruit Oil, Citrus Paradisi (Grapefruit) Peel Oil, Disodium EDTA, Butylene Glycol, Ethylhexylglycerin, Panthenol (Vitamin B5), Phenoxyethanol, Xanthan Gum, Lactic Acid, Glycolic Acid, 1,2-Hexanediol, Dipotassium Glycyrrhizate, Sodium Hyaluronate. Super C: Dimethicone Crosspolymer, Isopropyl Myristate, Ascorbic Acid (Vitamin C), Hydroxydecyl Ubiquinone, Pinus Pinaster Bark/Bud Extract, Tocopherol (Vitamin E), Glycerin, Glycine Soja (Soybean) Oil, Beta-Carotene, Citrus Paradisi (Grapefruit) Peel Oil, Citrus Aurantium Dulcis (Orange) Peel Oil, Citrus Aurantium Bergamia (Bergamot) Fruit Oil, Citrus Aurantifolia (Lime) Oil, Vanillin, Cedrus Atlantica Bark Oil, Silica, Heliotropine, Cyclopentasiloxane, Stearic Acid, Brassica Campetris (Rapeseed) Seed Oil. Renewal Treatment: Aqua (Water), Caprylic/Capric Triglyceride, Hydrolyzed Yeast Extract, Jojoba Oil/Macadamia Seed Oil Esters, Polyacrylamide, Isopropyl Palmitate, Butylene Glycol, Acetyl Hexapeptide-51 Amide, Swertia Chirata Extract, Acetyl Octapeptide-3, Alaria Esculenta Extract, Polyglucuronic Acid, Hydrolyzed Yeast Protein, Hydrolyzed Soy Protein, C13-14 Isoparaffin, Squalene, Phytosteryl Macadamiate, Phytosterols, Cetyl Hydroxyethylcellulose, Lecithin, Salicylic Acid, Glycerin, Laureth-7, Tocopherol (Vitamin E), Sodium Citrate, Benzyl Alcohol, Caprylyl Glycol, Sorbic Acid, Sodium Benzoate.